THE suspension of import and in transit movement of cloven hoofed animals or their products from South Africa will put significant strain on the Namibian beef market, as the country is heavily dependent on the import of these products, experts say. According to Roelie Venter, Executive Manager of the Namibia Agricultural Union (NAU), the import ban will most severely hit the dairy industry as Namibia does not produce any butter or cheese products. 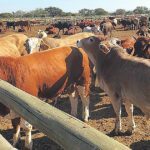 Earlier this week, the Ministry of Agriculture, Water and Forestry announced the halting of all imports and in transit movement of cloven hoofed animals and their products after South Africa reported an outbreak of Foot and Mouth Disease (FMD) in Limpopo, to the World Organisation for Animal Health (OIE). Venter stated that according to the Meat Board of Namibia, more than 3,800 tons of beef, mutton and pork were imported from January to November 2018 (not only from South Africa) and thus all meat consumed in Namibia therefore needs to be sourced from local Namibian abattoirs or other international markets, while the import ban from South Africa is in place. Touching on how local farmers can fill this shortage, Venter stated that farmers already started to reduce animal numbers in 2018 to reduce the pressure on rangelands that may not be able to supplement the market gap. 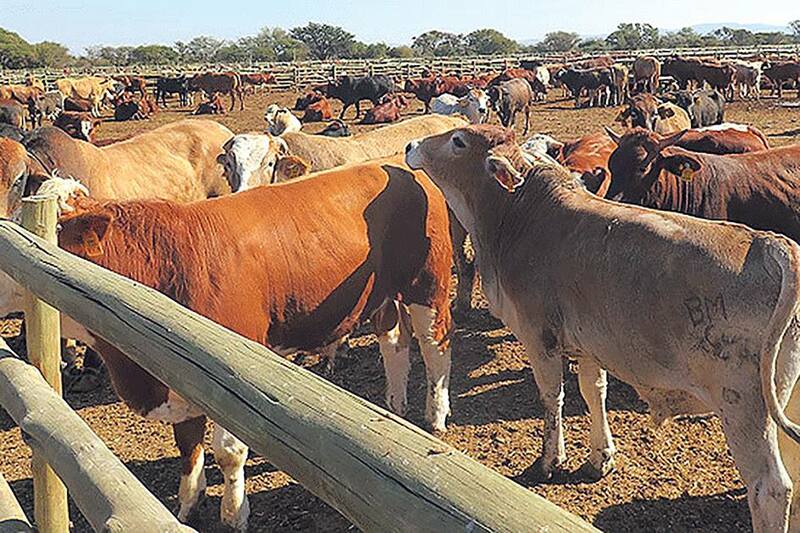 “Due to drought conditions in 2018, as well as the fact that rain received so far in the current rainy season was limited to a few places, the condition of most livestock is currently not good and therefore cannot be marketed,” Venter stated. He advised farmers to wait for the improvement on the condition of their livestock before marketing can take place. In the event that livestock is currently in good condition, farmers are advised to critically evaluate their current fodder availability, and rather decide to market their marketable livestock earlier than later. “Foot and Mouth Disease (FMD) is a highly contagious disease of cloven hoofed animals, and all exports will immediately cease in the case of such an outbreak in Namibia, with disastrous results. It is absolutely crucial that the control must be in place to prevent the spreading of such a serious disease. No impact on Namibia’s export status can, however, be expected currently,” Venter stated. Local Economist, Klaus Schade, reverberated the same sentiments, adding that Namibia is not self-sufficient regarding meat products and therefore imports meat products from mainly South Africa. “Namibia could face a temporary shortage of beef, pork and lamb products. Depending on how soon the situation is resolved, importers of meat products might switch to other source countries to fill the gap between domestic supply and domestic demand,” Schade said. He added that Namibia has imported live animals to the tune of some N$17 million in 2017, however, these animals are most likely meant for breeding rather than slaughtering purposes and hence the import ban should not have an economic impact. “The export ban in South Africa of live animals and meat products again underlines the importance of strict monitoring and control measures of FMD, CBPP and other animal diseases also in Namibia in order to avoid a similar situation here, which would have severe economic implications for Namibia’s livestock farmers and meat processing industry, for the country’s exports and hence foreign exchange earnings. So far, Namibian authorities have always reacted swiftly when there was a risk of an FMD outbreak (sightings of buffaloes, etc.) in the commercial farming area,” Schade concluded. However, some believe that Namibian farmers and secondary processors will be able to capitalise on the situation as local demand will definitely benefit them. According to Piet Gouws, Chairman of the Namibia Live Stock Producers Organisation, the ban will have no effect on the exports of Namibian live stock or products derived from the animals to South Africa. “The immediate challenges faced by Namibian farmers will be the delay in the import of genetic material for those who practice stud breeding and animal and material that will have to be kept on the borders at great cost until the ban is lifted. The other effect that consumers will notice is a shortage of certain products at retailers but that will have a positive effect on locally manufactured and processed products,” he explained. Gouws went as far as to say that some of the Namibian farmers who are severely impacted by the drought might be able to receive relief in improved prices for their livestock. He said the drought situation in Namibia is nearing catastrophic proportions for a large number of farmers. Gouws is of the opinion that the equally dire drought situation in South Africa, combined with the ban on movement of animals, will definitely have a catastrophic effect on agricultural production in that country if the export ban continues for an extended period.